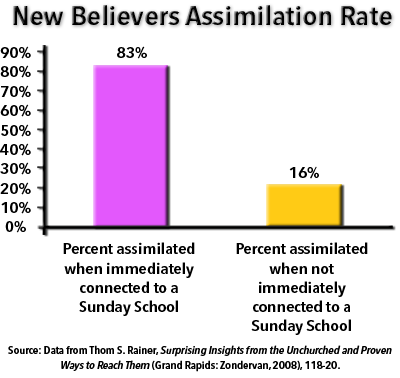 After researching hundreds of highly evangelistic churches, Thom S. Rainer found that new believers are five times more likely to assimilate into a the church if they attend a Sunday school class. In fact, Rainer found that nearly 90 percent of these churches identify Sunday school as their most effective assimilation tool. Over time, Rainer found that 83% of new believers involved in Sunday school were still active five years later while the 16% involved in worship only were not. 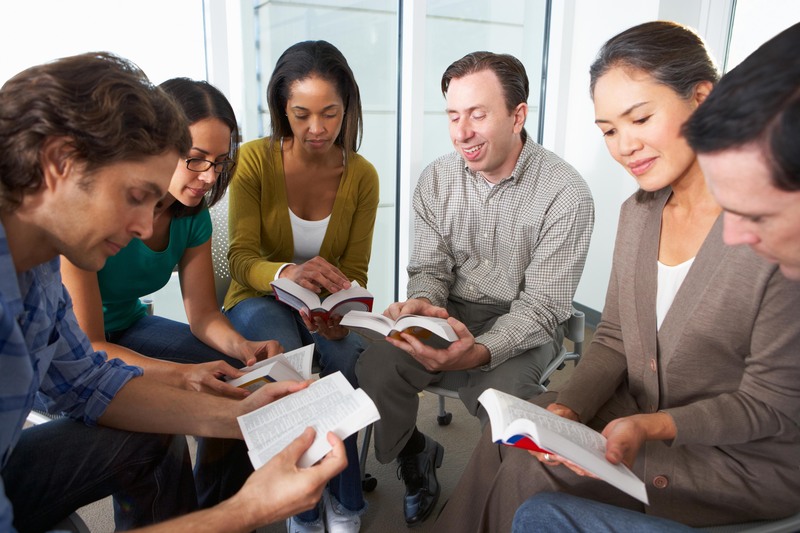 In short, those who join a small group Bible study are five times more likely to become long term active members while those who do not are five times more likely to walk out your back door to find a church better able to meet their needs. The Point: New believers assimilate into churches with healthy Bible studies that care for them and powerfully teach them God’s Word. 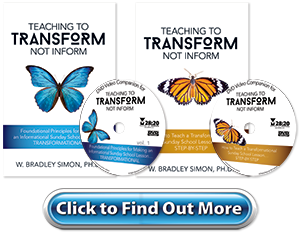 Developing healthy Bible study groups requires training your leaders with something like the Teaching to Transform Not Inform series where teachers learn how to change informational lessons into transformational ones that enable listeners to apply biblical truths to their life. 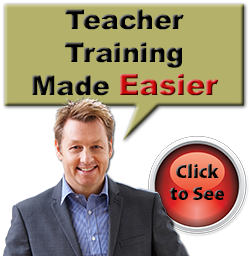 This series is as practical as it gets and it leads your teachers, step-by-step through developing a transformational lesson. 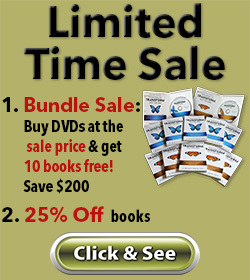 Excellent book. I used a good bit of this information in a Sunday School Director's workshop! Such good information - every church should have this book in their library for teachers, leaders, directors etc to glean from!